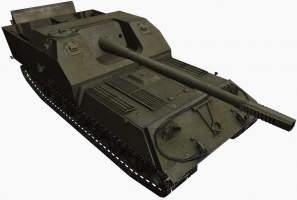 The Object 263 is a Soviet tier 9 tank destroyer. 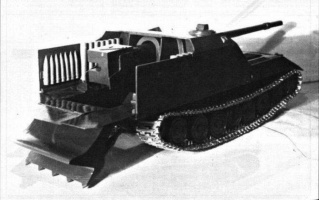 El desarrollo de un cazacarros pesado sobre la base del carro pesado IS-7 se inició en 1950. Se desarrollaron tres proyectos de diseño, uno de los cuales resultó en un prototipo de madera a tamaño real. Sin embargo, se abandonó el desarrollo posterior debido a la eliminación de la producción en masa del IS-7. 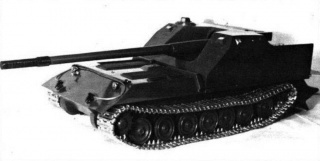 The Object 263 is a tier X tank destroyer on one of the soviet Tank Destroyer lines. 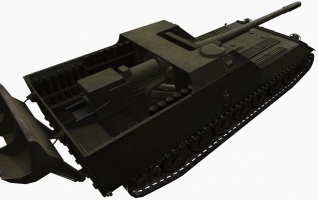 Armed with a rapid fire 130mm cannon, the 263 has the lowest alpha of the tier X tank destroyers but makes up for it with a very high rate of fire and very good accuracy. The front armor on this beast is sloped and very thick, making it very hard to fight from the front. However, enemy tanks will have no problem hitting your sides and rear if you happen to get flanked. 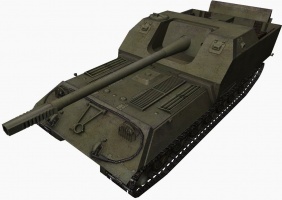 Face hugging with other tier 10 tank destroyers is not recommended as your gun mantlet is easily penetrated by very high pen guns, as well as face hugging with tall tanks like the Maus as their guns are mounted high enough to put a shell in your back plate from above. If they load premium rounds, they can mess you up easily. The mobility on the Object 263 is good, with good acceleration and top speed, this allows it to get into position very quickly and support your team. Another very bad weakness to this tank is that it has a large open top, exposing the crew and ammo rack, in return, a direct hit from artillery will really screw up this tank, you will often have to deal with injured crew and damaged ammo racks, and ammo rack detonation. 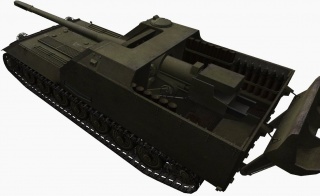 The Object 263 leads to the Object 268 Version 4. High ROF for a tier 10 TD (missing shot isnt as painful as other tier 10 TDs), slightly better DPM than the 268. Great View Range, reasonable camo rating and great mobility makes it easy to take up good sniping positions.